The album was first released in 2000, but each track on the album had been released as part of Styx's 1997 double live album Return to Paradise. The tracks were recorded on September 21, 1996 at the Rosemont Horizon, Rosemont, Illinois (outside Chicago). 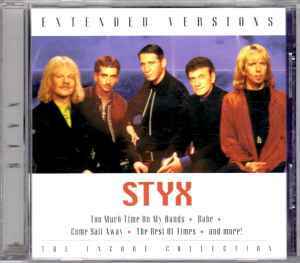 It features songs from their reunion tour with Tommy Shaw, but without John Panozzo, who died in July 1996. All tracks ℗ 1997 CMC International Records. This Compilation ℗ 2000 BMG Special Products. According to Sonopress USA profile, this particular release Glass Mastered in 2004.